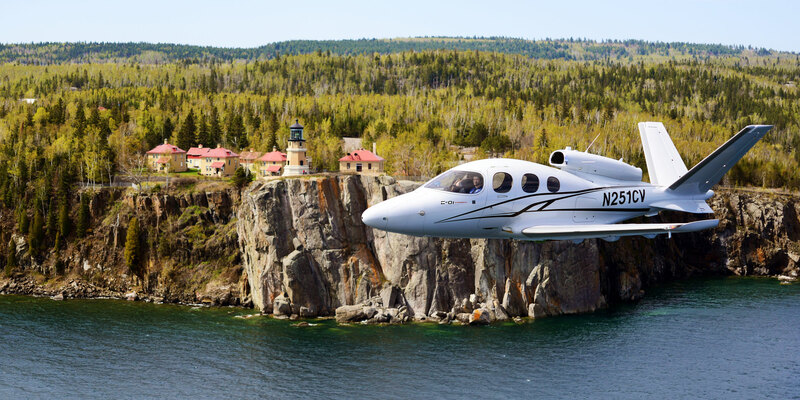 Nine years ago I stood in a Cirrus Aircraft hangar in Duluth, Minnesota and witnessed the unveiling of what was then reportedly the slowest single-engine private jet you could buy. At the time, and in the years that followed, the “very light jet” industry ballooned into full vapor with single-engine models in development from manufacturers including Aerocomp, Diamond, Eclipse, Epic, Flaris, Maverick, Piper, Sport Jet, and Stratos. Aviation is a business that attracts dreamers, and some dreams die hard. A couple of those programs are still alive, but none of them have come to fruition. Today, the Cirrus Vision SF50 is the fastest single-engine business jet you can buy, because it’s the only one with market viability. FAA certification could come within weeks, and the company has a backlog of more than 600 orders accompanied by substantial deposits. If you think you’ve seen this setup before, you probably have. It’s similar to the design of the U.S. Air Force’s giant “Global Hawk” unmanned aerial spy vehicle. The engine positioning gives the airplane a more flexible center of gravity for loading, makes the engine easier to service and inspect before flights, and mitigates on-board noise and any damage to the cabin from an uncontained engine failure. 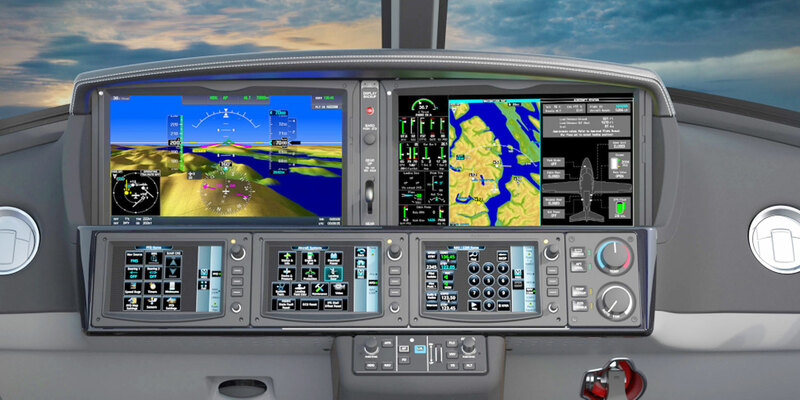 The Cirrus Perspective cockpit features the Garmin G3000 system with three touchscreen avionics controllers powering the two large main display screens. The system incorporates built-in flight-envelope protection to prevent a loss of control and is easy to use. Enhanced vision system and enhanced real-time weather radar are optional. Flight-control inputs are made via sidesticks, allowing for a roomy cockpit. Because the aircraft isn’t yet certified as I write this, performance numbers are estimated, but they should be pretty accurate. Service ceiling is listed as 28,000 feet, a little lower than the ceiling for a high-performance turboprop single like a TBM 900 (31,000 feet) and a lot lower that that of an entry-level twinjet like the Eclipse 550 (41,000 feet). As a result, you will not be able to out-climb all rotten weather. Maximum cruise speed is 300 knots and maximum range is 1,250 nautical miles, albeit at a slower 240 knots. At 300 knots, you can make 1,100 nautical miles. The SF50 shines as a short-field performer, taking off in as little as 2,036 feet, landing in 1,721 feet, and stalling (full flaps) at just 67 knots. It climbs at a respectable 2,000 feet per minute. Aircraft buyers and sellers both count on purchase agreement language to protect them. Will it really? The SF50 will be certified for flight into known icing and fitted with pneumatic deicing boots. With full fuel (296 gallons) you can carry just 400 pounds—basically the pilot and one passenger or the pilot and a lot of gear—although the SF50 features modular seating for up to five adults and two more optional jump seats suitable for small children. Still, with pilot and four passengers weighing in at 200 pounds each, the SF50 will take you 600 nautical miles at 300 knots. The overall useful load—passengers, gear, and fuel—is 2,248 pounds. The heated external baggage hold, while only 31 cubic feet, is large enough for a set of golf clubs. 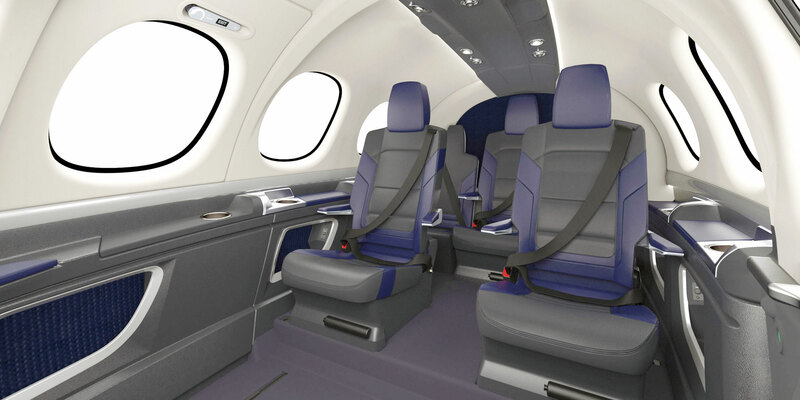 Passenger comfort for an aircraft in this category (6,000 pounds) is excellent: the cabin is about five feet wide and four feet high, and nearly 11 feet long. The interior fit and finish is above average for an aircraft at this price point, with luxurious automotive-style leather seats, high-end substrates, generous seat tracking, sidewall cut-outs for personal-item stowage, cup holders, armrests, USB power ports, airbag seatbelts (crew positions), and climate-controlled air-conditioning, with options for enhanced interior lighting, drop-down entertainment screens, Wi-Fi-groundlink, and 115V AC power. For Cirrus, the road to the SF50 has been a long and twisted one. Brothers Alan and Dale Klapmeier started the company in a Baraboo, Wisconsin barn in 1984, and by 2015 it had sold 6,000 of its innovative line of SR single-engine piston aircraft. The airframer began serious work on the jet in 2003 at an offsite Minnesota location it called “The Moose Works.” The 2007 mockup was the third jet iteration, and it would undergo another redesign on the way to certification. 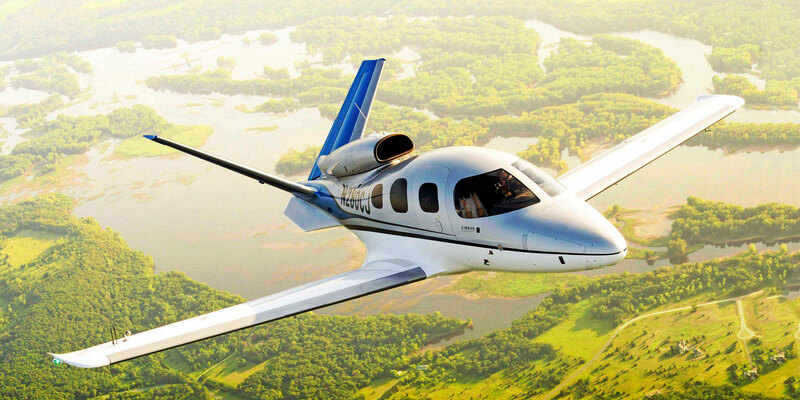 The current SF50 is the culmination of almost three decades of looking at the potential personal jet market for Cirrus. The company began studying the concept in the late 1980s, when it investigated the possibility of fitting its VK-30 kitplane with a Williams FJ44 turbofan. During the 1990s, Cirrus developed a turboprop variation of the VK-30, the ST-50, in partnership with Israviation; however, that aircraft never entered production. Mark Huber, an aviation industry veteran, has reviewed aircraft for BJT since 2005. Is it possible to test fly the SF50?